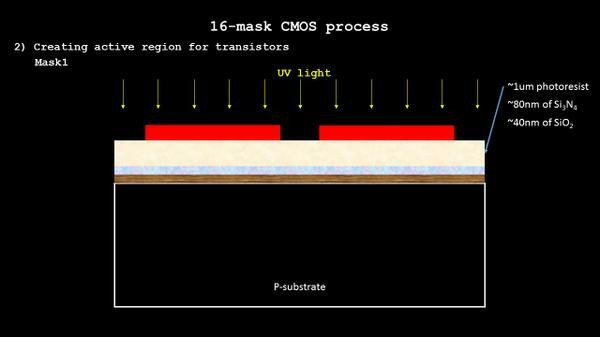 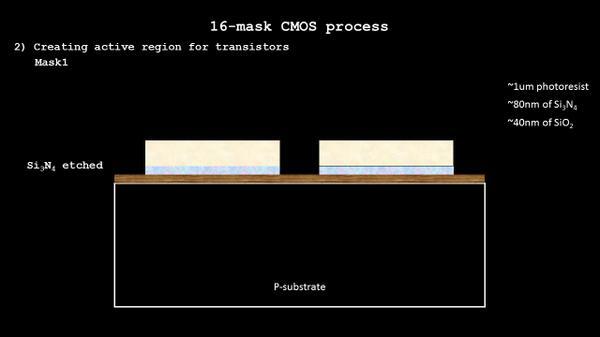 This is to create the active regions to build pmos/nmos transistors…will be evident as we move forward. 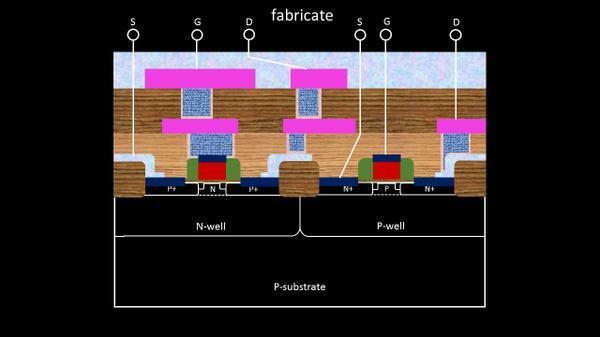 Active regions are isolated from each other using isolation SiO2 (shown in below image), which is grown with ‘LOCOS’ technique (Local Oxidation Of Silicon). 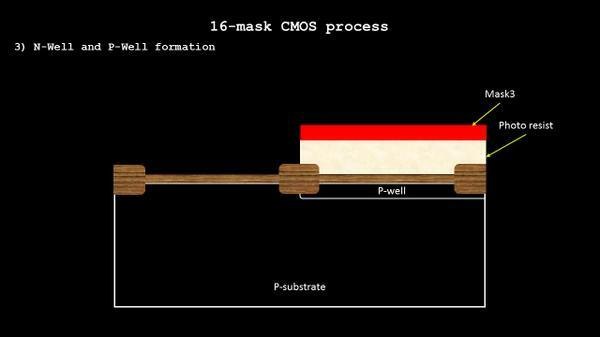 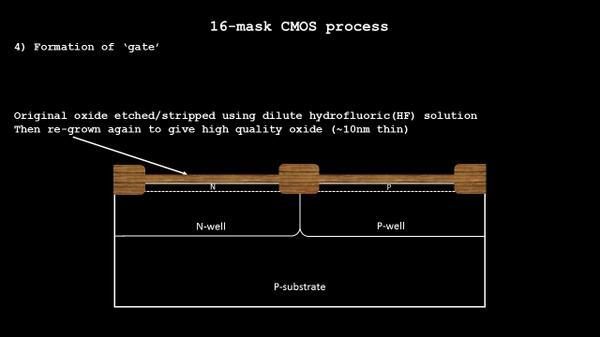 Mask4 onwards is one where we create the most critical terminal of MOSFET i.e. 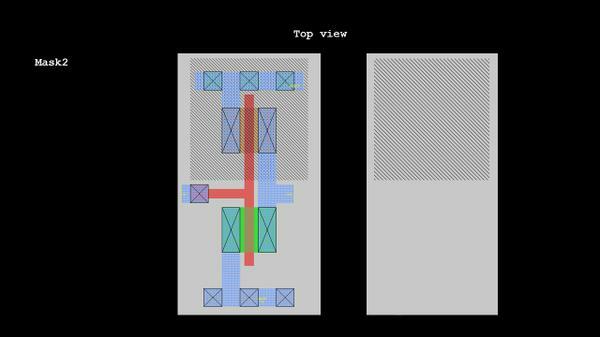 gate terminal. 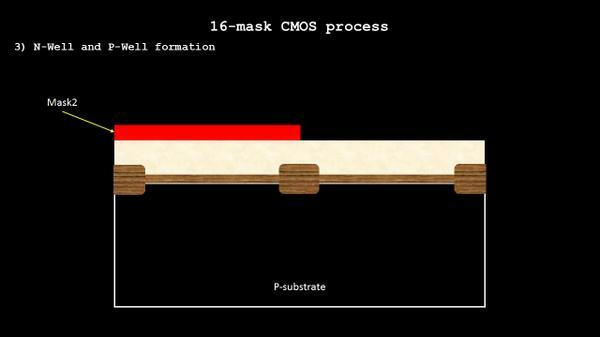 So stay tuned with me and I will take you through an exciting journey of 16-mask process, and the process will never so complex as you thought….